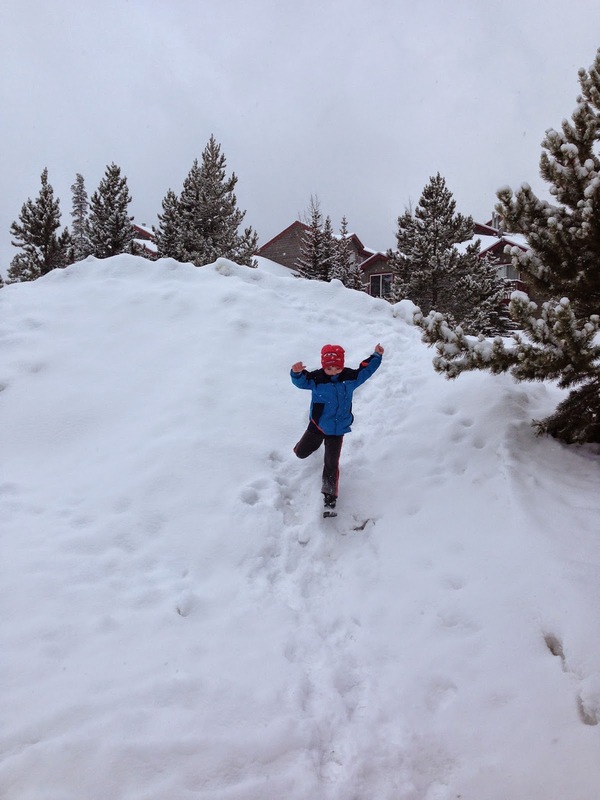 whether it's for a family ski trip, a neighborhood sledding adventure or simply playing in the yard on a snowy day, it's important to know how to dress your children for outdoor winter fun. because i once lived in oklahoma and now live in colorado i get the pleasure of advising warm-climate out-of-towners about the gear they'll need in order to keep warm in the rocky mountains. we were blessed to see two such families last month! here's the information i gave them. our family uses a three layer system: base layer, mid layer and outer layer. this concept works for both kids and adults. it is great for any weather because one layer can easily be added or removed. by keeping to just three layers it prevents getting too hot, which can cause excess sweating. if your child gets too sweaty and that perspiration stays near the skin it will make them cold. base layer - this should be a thin, wicking layer that is made from polypropylene or polyester. no cotton allowed! a synthetic fabric will help perspiration evaporate whereas cotton holds moisture in. dry clothes are warm clothes. our favorite brand base layer is hot chillys but again, just read the label to see what the garment is made of. most packages will say something like "moisture wicking" or "draws moisture away from body". mid layer - this layer is strictly for warmth. it's typically some type of fleece. polartec fleece is a good option as is a 100% wool sweater. again, no cotton. we go with columbia brand gear for our kids mostly because it's great quality and we can buy it for a discounted price at the outlet store near our condo. i prefer a mid layer that can zip into the outer layer so it becomes one coat. dressing kids to go outside can be laborious and time-consuming; it's helpful to minimize the number of items they need to put on. HERE are some good options. outer layer - this is a lightweight shell jacket that is both windproof and waterproof. HERE are some good options. it should be noted that you could choose to purchase an insulated, waterproof winter coat for your child which would negate the need for a mid layer because the coat would provide enough warmth on its own. then you'd just go with a base layer and the insulated coat. 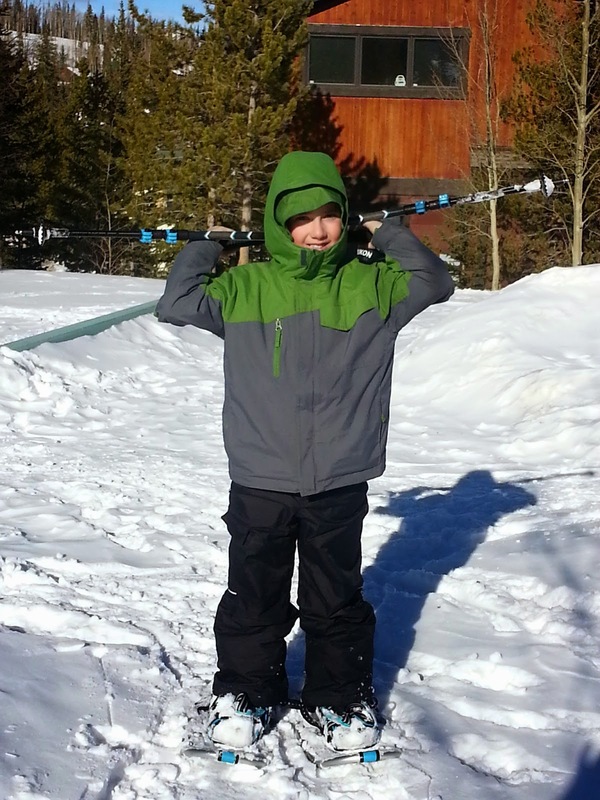 pants - our kids wear insulated, waterproof ski pants with a hot chillys base layer underneath. this provides plenty of protection and warmth no matter the activity or the temperature. i highly recommend buying pants instead of bib overalls. while the overalls might keep them slightly warmer they make it much more difficult for kids to go potty!! HERE is a great pants option. in both coats and pants i look for "outgrow" options which many brands offer now. what this means is that the coat and pants are made with a two-inch hem inside the sleeves and legs so, as your child grows, the garment can grow with them if you let out the hem. another way to save money and extend the life of your outerwear is to purchase plain patterns and/or neutral colors so coats and pants can be passed down from older to younger, and maybe even from boys to girls. i also tend to buy one size up in hopes that my kids can wear a coat for at least two years. socks - only wear one pair! don't fool yourself into thinking two pair will keep feet warmer, it's just not true. i recommend smartwool brand socks. they are a bit pricey but the tootsies will stay toasty. one other tip: do not tuck the pant legs of the base layer inside the sock. the sock should be against the skin, then the base layer, then the boot. gloves - we've used both gloves and mittens with success. mittens do keep fingers just a bit warmer. the most important factor is that they are insulated and waterproof. neck warmer - for super cold or windy days a neck warmer is a good idea as it can be pulled up to cover the lower part of the face. i like the turtle fur brand. all the kids in the photo above are wearing neck warmers, some pull over their heads like a hat whereas some just rest on the shoulders like a scarf. both work equally well. boots - for playing in the snow our boys wear basic snow boots i bought at target. occasionally i wish i had purchased better quality boots for them but, honestly, most of the time they never complain! skiing or snowboarding boots will need to be rented along with the rest of equipment for those specific sports. sunscreen, wrist guards, goggles - i am always hounding my family to put on sunscreen. it's a must-do in the mountains. wrist guards are a good idea for snowboarders, especially beginners. goggles are fantastic for any kind of outdoor activity on snowy, windy days. on calm days and for low-key activities a pair of sunglasses would suffice. 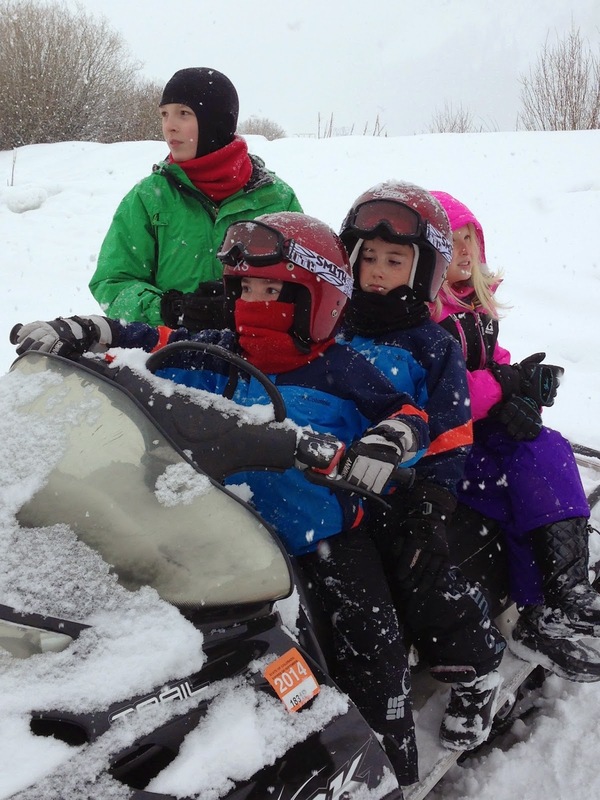 whether you're headed to the mountains for a winter vacation or you live in oklahoma and get blessed with a rare snowstorm, these are the rules to follow to keep kids warm outdoors. this website also offers great, detailed information.